Dealing with my kids and grandkids over the years, I've seen some enormous changes in the public education system. No, I'm not bashing teachers or scolding parents - just pointing out how profound some of these changes are. We're now to the point where the evidence speaks for itself - American kids on aggregate are less-educated then their predecessors. One of the most frustrating changes (to me) is this "no child left behind" scheme. Only a bureaucratic consortium could think this would actually work. The same folks who brought us "everyone's a winner", and "self-esteem is more important than self-discipline". I've seen the effects first-hand, and have spoken with teachers and school board members many times over the years. The bottom line is that there are no longer uniform standards required for graduation. Let that sink in for a minute. In the 50s. 60s, and 70s, you either tested out at grade level or were sent back. Failure was not an option. Kids are no longer required to be functionally literate to pass through grade school - or high school. 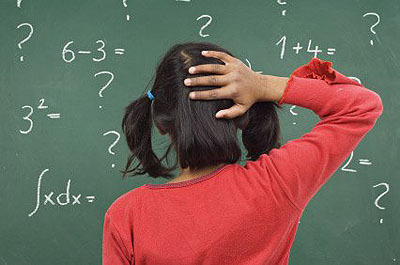 Math skills have suffered terribly, with courses often watered down to the point of a Dr. Seuss book. That's bad enough, but when mastering basic arithmetic becomes an option in school, we're in serious trouble. No child left behind means that no child will repeat a grade when they fail to meet the basic requirements. Courses mandated by law to insure that teachers have little or no say in the development of the curriculum. School boards more concerned about test percentiles (and federal money received) than quality education. Cutbacks in technical/vocational programs, the arts, and extracurricular activities. Standardized testing designed for the lowest common denominator, insuring high compliance numbers (resulting in more tax dollars). And, of course, an expanding education bureaucracy to administer all the latest and greatest get-smart-quick schemes. The problem is much more serious than most folks realize, and we're already reaping the bad harvest of this failed system. Where do you think all those uneducated kids who "graduate" end up. Yup, that's right. Sorry for the rant, but this is a national disgrace, and it just doesn't seem like enough Americans are taking it seriously. But they will - sooner or later. Actually, this kind of info infuriates me. I know you posted this, in part, as tongue-in-cheek. But it's true. This is not math --- it is 4th grade arithmetic and shows you the profound ignorance of the 'average American'. Totally agree, that it's really dumb! But in a way, it might be a good thing, in that portions in average American restaurants are large, and one reason there's such a high rate of obesity. And the idea that there's competition based on portion size, is unhealthy. Registered on Online Community since 2007! "...Why is everyone a victim? Take personal responsibility for your life..."
One of the most vivid arithmetic failings displayed by Americans occurred in the early 1980s, when the A&W restaurant chain released a new hamburger to rival the McDonald’s Quarter Pounder. With a third-pound of beef, the A&W burger had more meat than the Quarter Pounder; in taste tests, customers preferred A&W’s burger. And it was less expensive. A lavish A&W television and radio marketing campaign cited these benefits. Yet instead of leaping at the great value, customers snubbed it. Only when the company held customer focus groups did it become clear why. The Third Pounder presented the American public with a test in fractions. And we failed. Misunderstanding the value of one-third, customers believed they were being overcharged. Why, they asked the researchers, should they pay the same amount for a third of a pound of meat as they did for a quarter-pound of meat at McDonald’s. The “4” in “¼,” larger than the “3” in “⅓,” led them astray. Are Americans really innumerate compared to other countries? Perhaps: Author Elizabeth Green says that American adults did pretty poorly in a 2012 international test of numeracy. The rest of her piece is all about how we could teach math better if we really put our minds to it, but unfortunately, after inventing all the best methods for teaching math we gave up, leaving it to the Japanese to perfect them. I don't know whether or not this is a fair summary of the current state of play in math ed. Still, the A&W anecdote was too good to check, and too good not to pass along. If it's not true, it should be. As for me, I would take a 1/3 of a pie over a 1/4 of a pie for my piece any day.